The Shih-ching, translated variously as the Book of Songs, Book of Odes, or simply known as the Odes or Poetry is the oldest existing collection of Chinese poetry, comprising 305 works dating from the 11th to 7th centuries BC. 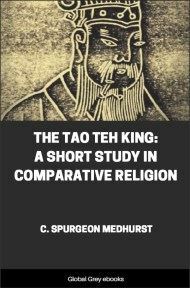 It is one of the "Five Classics" traditionally said to have been compiled by Confucius. This is a selection which appeared in the Wisdom of the East series. "While reading the works of Confucius, I have always fancied I could see the man as he was in life, and, when I went to Shantung, I actually beheld his carriage, his robes, and the material parts of his ceremonial usages. There were his descendants practising the old rites in their ancestral home; and I lingered on, unable to tear myself away. Many are the princes and prophets that the world has seen in its time; glorious in life, forgotten in death. But Confucius, though only a humble member of the cotton-clothed masses, remains among us after many generations. He is the model for such as would be wise. By all, from the Son of Heaven down to the meanest student, the supremacy of his principles is fully and freely admitted. He may, indeed, be pronounced the divinest of men." This is the tribute of Ssŭ-Ma Ch’ien, the author of the first great History of China, who lived in the first century before Christ. Many centuries have gone since the old historian, out of the fulness of his heart, sang the praises of the Master and the supremacy of his principles. To-day, as a thousand years ago, the school children take their first serious instruction from the five books, or King as they are called in Chinese:—The Shu King, or Book of History; The I King, or Book of Changes; The Shi King, or Book of Poetry; The Li Chi, or Book of Rites; The Ch’un Ch’in, or Annals of Spring and Autumn. "Have you read the Odes?" "Then," said Confucius, "if you do not learn the Odes, you will not be fit to converse with." 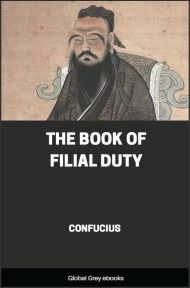 To understand this, we must know something of the character and teachings of Confucius. William Morris was to some extent the Confucius of his age. Both men dreamt of a golden past—a past brilliant with heroic deeds, mellowed with peace, and serene beneath the first clear dawn of ancient wisdom. Both drew inspiration from the unstained springs of poetry. Morris went back to the sagas of the North and the tales and tragedies of the early Greeks; Confucius to the odes and ballads of his own country. For Morris, "the idle singer of an empty day," the world had grown old and careworn and unheroic. Confucius, too, was born out of his due time. The world—his world of petty princelings and court intriguers and oppression—was not ripe for the great gospel of humanity he had come to preach. Each failed lamentably in politics, and succeeded elsewhere; Confucius as the transmitter of the wisdom of the ages, the revealer of human goodness through conduct and knowledge; William Morris as the inspired prophet of beauty, the teacher of good taste to the hideous Victorian age in which he was born. When the dogmas and economics of his socialism are forgotten, this influence will remain. Lastly, and perhaps greatest parallel of all, both passionately loved the people. Confucius, when asked how the superior man attained his position, said: "He cultivates himself so as to bring rest unto the people." Again he said: "To govern a country of a thousand chariots, there must be reverent attention to business, and faithfulness, economy in expenditure, and love for the people." Both recognised, as all great men must, that there is more to be learnt from the natural man, the man who lives next to nature, and through his toil knows something of her ways and moods, than the artificial mime of ancient court or modern drawing-room. It was through the Odes that Confucius taught his own generation to understand the manners and customs and the simple feelings of the men of old. Here are no great poems written by highly cultivated men, but songs that came naturally from the hearts of all, concerning their little troubles, their hopes and fears, the business in which they were engaged. The farmer sings of his husbandry.